Hedtke Law Offices takes the time to educate our clients on the advantages and options available with Probate, Probate Avoidance, Estate & Probate Administration, and the Estate Planning process. Probate is a legal process that occurs after someone dies. It includes validating a will in court, identifying / inventorying / appraising the deceased person’s property, paying debts and taxes, and distributing the remaining property as the will or law directs. 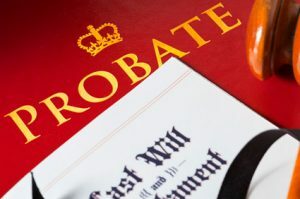 Probate is the court process by which a person’s last will and testament is administered, creditors are paid, and assets are finally distributed to the decedent’s named beneficiaries. If the decedent died without a will (“intestate”), statutes provide an order of preference for relatives of the decedent who will be considered the decedent’s beneficiaries. Most clients choose to avoid probate for the following reasons: 1. Expense Probates are expensive. Because the statutes set forth a structured sequence of events that must be completed before the estate can be settled, lawyers have little discretion as to how the proceeding should be conducted. Even the simplest probate proceedings can cost as much as $5,000. Complicated estates can cost in excess of $100,000. As a guideline, estates facing probate should assume 3% to 5% of the estate will be paid to attorneys in legal fees. This cost should be compared to the relatively small costs associated with establishing a revocable living trust. 2. Time Probates take a substantial amount of time to complete. In a best case scenario probate could take six months to complete. On average, we find the process usually takes between 9 and 12 months. Generally, access to assets during the pendency of a probate is substantially restricted, and all distributions require court approval. Conversely, successor trustees in a revocable trust have access to assets immediately upon the death of the decedent and can manage the assets without the necessity of court supervision. 3. Private Matter Most people do not realize that a probate proceeding is no different than any other civil proceeding in a court of law. At any time, anyone can request the court clerk to retrieve the probate file and inspect its contents. Documents included in the file are the will, a petition for probate listing all of the decedent’s heirs to the second degree, a complete inventory of all of the decedent’s assets, and documents bringing to the court’s attention any other matters that require court attention. Generally, clients prefer to use revocable living trusts to keep their affairs private. Get a probate administration lawyer from Hedtke Law Group.